For many of us, weight loss isn’t the only important thing we want for 2015. Personally, I want to take more control of my finances and strive to start saving for the future. I don’t want to live in just ‘now’ financially, but to save for the future and have a nest egg that is useful during a rainy day. To make this happen, I have started looking into different financial advice and books for managing my money. One book that caught my attention before the end of the year was Ladies with Loot: How They Spend, How They Save, How They Live, and How to Be One Yourself! After reading some great things about this book, I knew I had to check it out for myself! Ladies with Loot: What is It? Looking for a book especially designed to help women gain control of their finances, and live better through different stages of their life and career? If so, we think you will love Ladies with Loot: How They Spend, How They Save, How They Live, and How to Be one Yourself. With women balancing home, work, children, and their relationship, it’s not too shocking we don’t have the time to properly balance our checkbooks. In this simple step by step guidebook, financial professional Erica McCain, LUTCF explains the traps that women fall into when trying to save and how they can avoid them. You also learn how to get rid of debt and save for the future, allowing you to join the ranks of the women who have loot! I have to admit, I loved this book and thought it was a very mind opening book with quite a bit of great advice. As much as I hate to admit it, I have fallen in some of these traps she talks about in the book. Some of the examples sting a bit, but they are things that ladies like you and I may need to hear. At first, I was a bit uncertain with the book’s small size, but a quick read with my busy schedule on a topic I usually don’t want to think about is probably a good thing. To me, this is the must have book for the everyday girl who wants to get her finances in order and keep them that way. Based on my own experience, I am happy to give Ladies with Loot an A rating. Want to buy this book for yourself or someone you know? You can purchase Ladies with Loot: How They Spend, How They Save, How They Live, and How to Be one Yourself on Amazon.com for the Kindle for only $7.99 or the paperback version for $14.20. 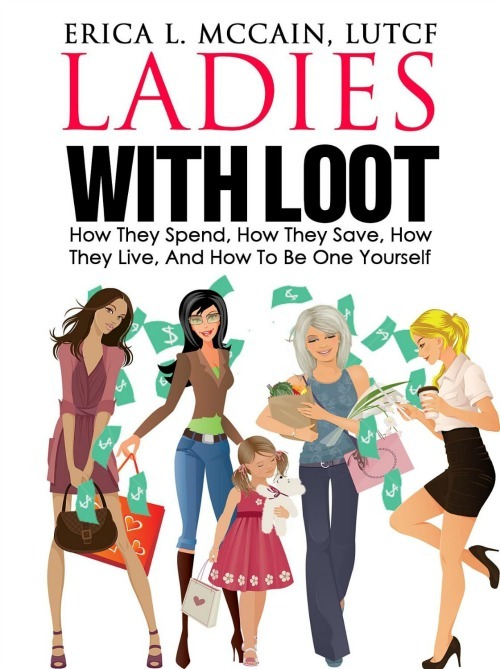 Ladies with Loot: How They Spend, How They Save, How They Live, and How to Be one Yourself sounds like a very interesting read, I’ve got to admit I am very curious about this nook, I would definitely purchase this book. Thank you for sharing this review. This sounds like a great book to read for anyone. Thank you for your review. Sounds intriguing. I am a decent saver, but am always open to new ideas. I’ll check this out at the library. Sounds very interesting. I will definitely have to read. I’ll add it to my 2015 reading list. Thanks for sharing. Thanks for the review. Sounds like a great read!